I am a fictioneer, poet, editrix, and critic. My preferred formats are short fiction, poetry, essays, reviews, and novels. Please see the Writing tab for a list of my works. M.A. : Cultural Studies and Critical Theory, McMaster University, Hamilton, Ontario, Canada, 2010 - 2011. I hold a PhD in Comparative Literature (Science Fiction Track) from the University of California, Riverside, in the United States of America. 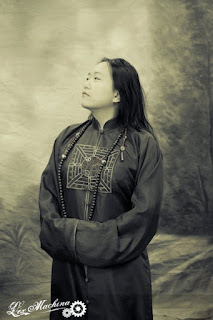 I was affiliated with the Science Fiction and Technoculture Studies program through my academic interests, and was (very) tangentially associated with the SouthEast Asia: Text, Ritual & Performance program by dint of my creative work. I passed my qualifying exams in June 2014, with the following fields: Malaysian Literature, Anglophone Science Fiction, Postcolonial Theory, Cultural Studies (emphasis on Critical Race Theory). I graduated in December, 2017, with a dissertation entitled Shades of Sepia: Examining Eurocentrism and Whiteness in Relation to Multiculturalism in Steampunk Iconography, Fandom, and Culture Industry. Currently, I work as an editor for Tachyon Publications. My best-known work is my blog Silver Goggles, a postcolonial steampunk blog which looks at issues of race and representation in steampunk. I have a series of short stories set in an alternate-history Penang in which Captain Francis Light never establishes his colony. My favourite themes in writing are on relationships, metaphors, languages, community-building, utopic spaces. Most of my protagonists are young women or girls, and my biggest inspirations are David & Leigh Eddings and Charlotte Perkins Gilman. I am interested in details, tactility, and movement. As a critic, I like to analyze world-building issues, social diversity, and narrative choices. I identify as a queer cis woman, so I'm all right with generic feminine pronouns. A woman of colour in North America, and a racial minority (Chinese) when home in Malaysia. Probably a dirty little socialist everywhere. I suffer from mild depression, which leaves me unable to write for long periods of time and creates a great deal of anxiety and sadness. My surname, Goh, is Min Nan 吳. My great-grandfather is from an inland village called Green Garden in the Hainan province of China; he moved to Penang Island in the 1900s. I speak a smattering of Cantonese, read Malay passably, and a mess of Malaysian-English basilects besides Queen's English. When I tear myself away from the computer, I cook, garden, hike, sew, raise earthworms, or otherwise loaf around. My favourite animals are tapirs, squirrels, and earthworms. My favourite flowers are the daffodil, the magnolia, and the peony. "Interview with Jha." Airship Ambassador. July 2010. "Halloween: How to Avoid Racist and Sexist Costumes." Kate Jongbloed. A Celebration of Women. Oct 2011. "Mind Meld: How To Write Science Fiction in a Post-Colonial World?" Fabio Fernandez. SF Signal. June 2012. "Diversify Your Steampunk 8: Jaymee Goh." Guinevere Thomas & Libertad Araceli. Twinja Book Reviews. Apr 2014. "2015 Steampunk Hands Around The World: International Q&A. Parts One and Two" Ray Dean. Feb 2015. "To The SEAs and Beyond: An interview with Jaymee Goh." Bryan Thao Worra. Asian American Press Blog. 20 Jun 2015. "The Wonders and Politics of Steampunk with Cherie Priest, Beth Cato, and Jaymee Goh." The Skiffy and Fanty Show. 17 Aug 2015. "Southeast Asians Storm Steampunk in New Anthology." With Joyce Chng. Ofeibea Loveless. The Pandora Society. 5 Oct 2015. "The SEA Is Ours: Interview with Jaymee Goh and Joyce Chng." Marcus Gilman. Steampunk to Cyberpunk, Cthulhu, Science, Coding. 8 Oct 2015. "Interview with Joyce Chng and Jaymee Goh." Josue Ramos. Mundo Steampunk: From Spain to the Steampunk World. October 2015. "Southeast Asian Steampunk: An Interview with Jaymee Goh and Joyce Chng." Rachel Cordasco. SF Signal. 10 Dec 2015. "On women facing a panoply of intersecting problems." ELLE Malaysia International Women's Day. 8 Mar 2016. "Invisible Cities #7: Southeast Asian Steampunk." BFM 89.9 The Business Station. 19 April 2016. "Roundtable: How to Stay in Your Lane." Writing the Other. 31 Aug 2016. 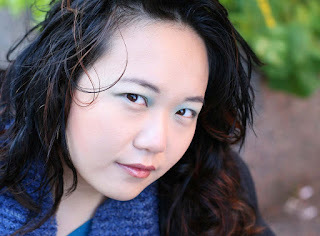 "Interview #101: Author, Editor, Academic Jaymee Goh. Parts One, Two, Three, Four, Five, Six." Kevin Steil. Airship Ambassador. Jan 1 - 6, 2017. 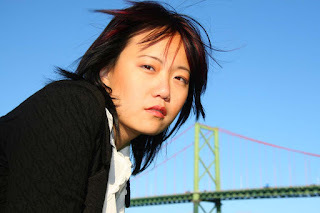 "Transcultural Storytelling, Postcolonial Steampunk, and Writing: An Interview with Jaymee Goh." Kristy Anne Cox. Strange Horizons. July 31, 2017. "Episode 19: What's so bad about cultural appropriation?" Our Opinions Are Correct. Annalee Newitz & Charlie Jane Anders. Women's Audio Mission, Nov 23, 2018.